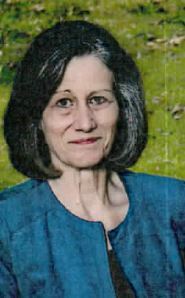 Lauren Bowden Norton, 67, of Hixson, Tennessee, passed away on August 8, 2018. She was an executive assistant at Power Corporation for 29 years. Lauren was a member of Tri-Hi-Y and of Kappa Delta at University of Tennessee Knoxville. She had her degree in interior design and enjoyed researching her genealogy. She was preceded in death by her parents, Lester and Anita Bowden. She is survived by her son, Lindsey Norton and his children, Loftin Norton and Paizlin Norton of Hixson; daughter, Kaylie (Brad) Lumley and their children, Rylie Lumley and Brewer Lumley of Hixson; brother, Lester B. (Joanne) Bowden, III of Maryville, Tn. A visitation will be held on Tuesday, Aug. 14, from 12-2 p.m. at Chattanooga Funeral Home, North Chapel. A graveside service will be held on Tuesday, Aug. 14, at 2:30 p.m. at Chattanooga Memorial Park with Dr. Fred Steelman officiating. Arrangements are held by the North Chapel of Chattanooga Funeral Home, Crematory and Florist, 5401 Highway 153, Hixson, Tn. 37343.